We counted our blessings and one chilly morning (Nina likes it cold) awoke to two sweet does. Nina managed without any assistance from her human servants and under the watchful eye of Nubs. Both kids are healthy and have enjoyed all of the special attention from the human kids. After careful consideration, the does have been named Daisy and Rose. Our neighbor, who grew up on a working farm, enjoyed a home visit from the kids as well. These two gals just might be staying on the farm, we are undecided if they will be posted for sale or not at this point. Stay tuned! 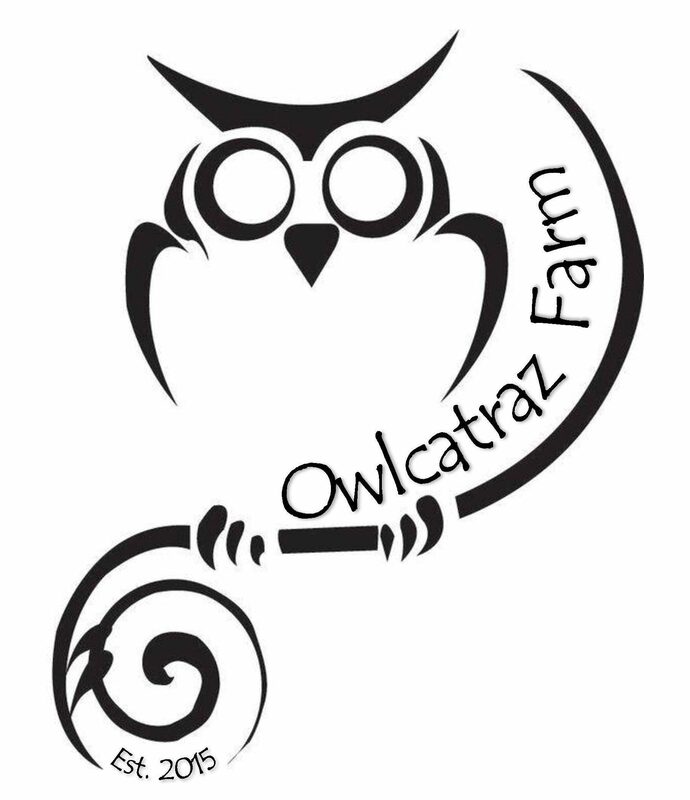 After months of anticipation, Owlcatraz Farm proudly welcomed two gorgeous kids early on Monday, December 26. 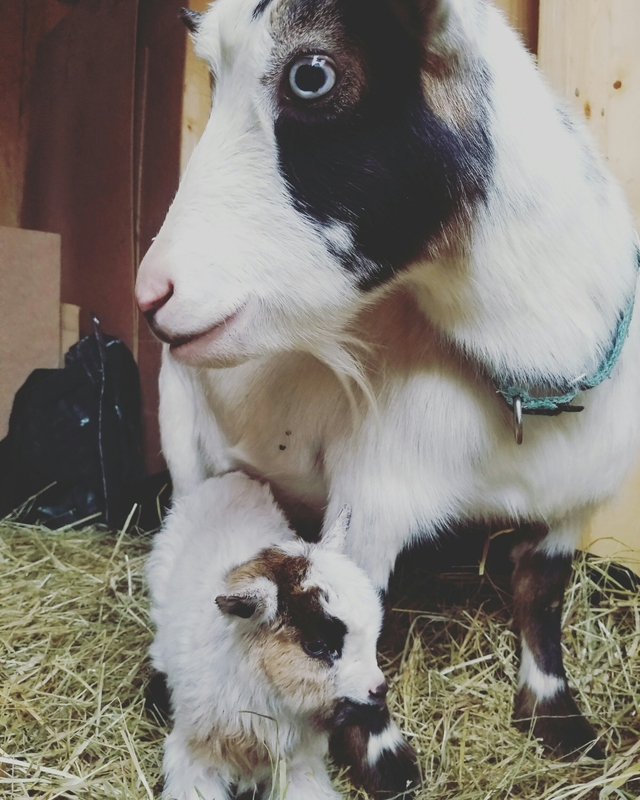 Nina, a four year old Nigerian Dwarf goat is the proud momma. She went into labor on Christmas evening, marked by her notable change in demeanor (she went from being standoffish to loving the cuddles and attention) as well as the loss of her mucus plug about 6pm. Margo, the chicken, acted as Nina’s midwife and stayed by her side all night. As it normally goes in the animal kingdom, Nina waited until I wasn’t doing hourly checks to deliver. At the first check in the morning, 5am, two wet kids were standing on wobbly legs. A lovely boy and girl! 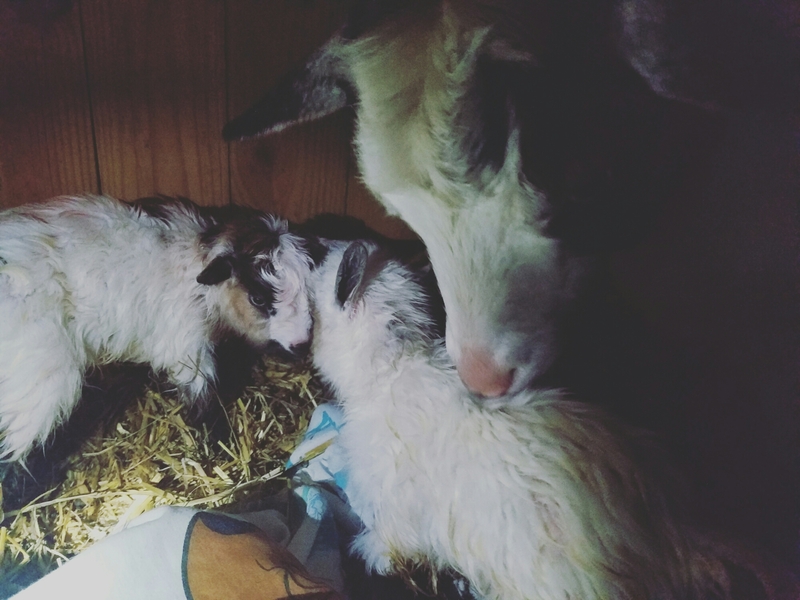 Both kids and mother are doing well. The kids (Thumper and Montana) were quick to start nursing and started to play almost just as fast. 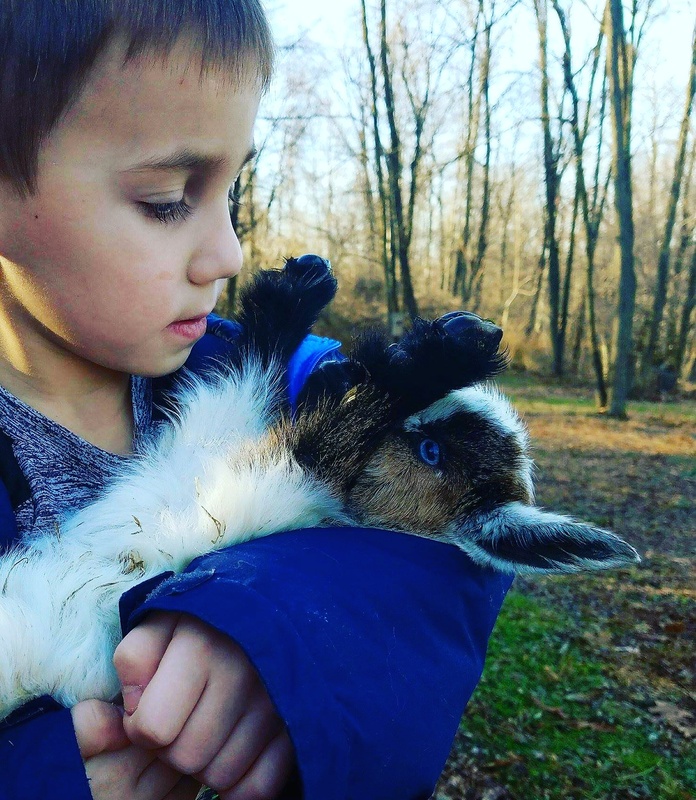 The human kids have fallen in love with the new additions!